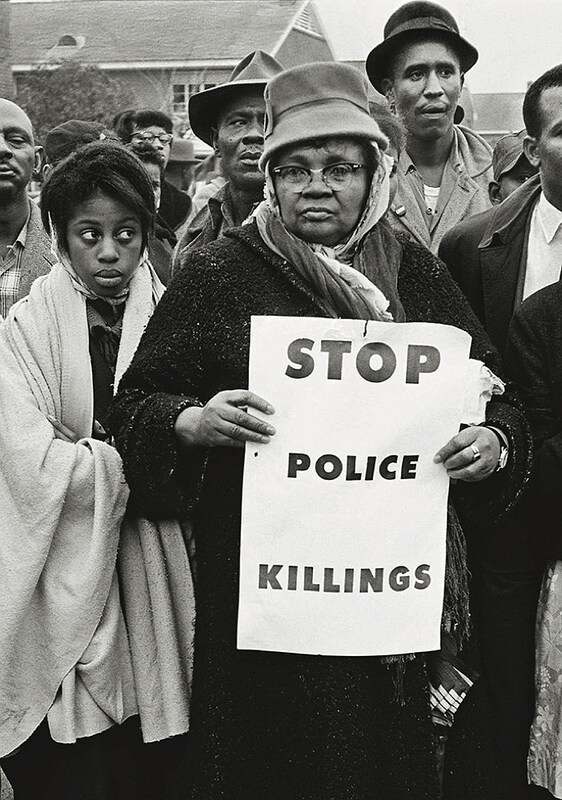 American photography shaped the civil-rights era, compelling the nation to see what it had refused to see previously. “It was absolutely pivotal,” says Makeda Best, curator of photography at the Harvard Art Museums. “It was how many Americans came to see what segregation meant and how it was lived.” A selection of 31 photos from the museums’ collections are now on display in the Carpenter Center for the Visual Arts exhibition “Time Is Now: Photography and Social Change in James Baldwin’s America.” The images, spanning 1932 through 1989, trace Baldwin’s life and the questions that most concerned him—including the persistence of white supremacy, and matters of sexuality and religion—through scenes of everyday life, segregation, and resistance. Before working on “Time Is Now,” Best says, “I hadn’t thought about Baldwin and American documentary photography as a parallel discussion.” But the two are linked by their shared devotion to telling the truth, to making urgent and undeniable what was once invisible. Baldwin wrote in his essay “The Discovery of What It Means to Be an American”: “The time has come, God knows, for us to examine ourselves, but we can only do this if we are willing to free ourselves of the myth of America and try to find out what is really happening here.” But photographers, like Baldwin, did not merely record; their compositions also contributed to the public imagination their own visions of what America is. Only one photo of Baldwin, standing with a wry expression outside the “Colored Entrance Only” of a New Orleans ice-cream parlor, is on display, but alongside the images are glass cases containing Baldwin ephemera, like early editions of his books and plays, and the 1963 issue of Time with his portrait on the cover. “A tiny slice of his extremely prolific career,” Best says, meant to display his international stature. “Time Is Now,” on view in the Carpenter Center’s small, enclosed Sert Gallery and presented without the contextual labels visitors may expect, provides a focused and intimate experience, different from how they might experience the images in a museum gallery. The photographers were also each significant in their own right, Best says: it would have been difficult to tell their stories in addition to those of Baldwin and twentieth-century America. “Time Is Now: Photography and Social Change in James Baldwin’s America” is open to the public through December 30. “Autumn (…Nothing Personal)” will be in Tercentenary Theatre through October 1.